Dell EMC’s Virtual Edge Platform (VEP) family is a software-defined wide area network solution (SD-WAN) with the new Intel Xeon D-2100 processor that helps speed digital transformation by connecting the enterprise edge to the cloud via universal Customer Premise Equipment (uCPE). The new virtualised solutions will enhance or displace expensive fixed-function access hardware. To control costs, reduce complexity and enable scalability for growth, many service providers and enterprises are modernising infrastructure, not only in the data centre, but out to the network edge, including branch offices. Using software-defined architecture, Open Networking and virtualisation to improve network access, organisations can accelerate their digital transformation goals to take advantage of new market opportunities more quickly, flexibly and efficiently. Built with advanced intelligence for network virtualisation and software-defined architecture, the Dell EMC VEP4600 provides an open Intel architecture-based platform to support multiple simultaneous virtual network functions (VNF). Numerous proprietary physical devices can be consolidated into this single uCPE while maintaining the high performance levels needed to host many. The modular design includes room to grow with front panel expandability so the platform can be easily upgraded or serviced in the field as needed. The VEP 4600 is powered by the new Intel Xeon D-2100 product family, Intel QuickAssist Technology (Intel QAT), and Data Plane Development Kit (DPDK). These features help optimise compute resources and provide efficiency for growing security workloads. The Intel Xeon Processor D-2100 product family’s performance, power and form factor have been tuned for higher performance-per-watt for SD-WAN and uCPE. It delivers more than 1.5x faster CPU performance, up to 2x improvement in packet processing, 2x memory bandwidth and up to 4x memory capacity. These processors enable complex packet processing and other scale-out workloads with responsiveness and low latency. 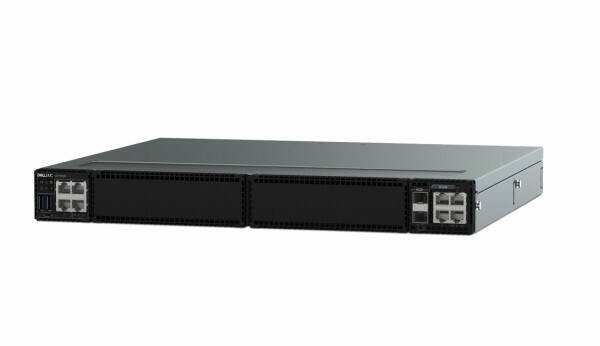 The Dell EMC VEP4600 will begin shipping in Singapore on April 24, 2018.